Whether you’re a parent or not, sometimes you need a holiday sans children. That means no unexpected pool splashes, no extra-long elevator rides and no tantrums (from you or the child). And when it comes to romance, adults-only resorts offer the perfect setting. Fall in love with these six luxury resorts. 1. What could be better than an adults-only resort right in the heart of California’s wine region? The answer is: nothing. 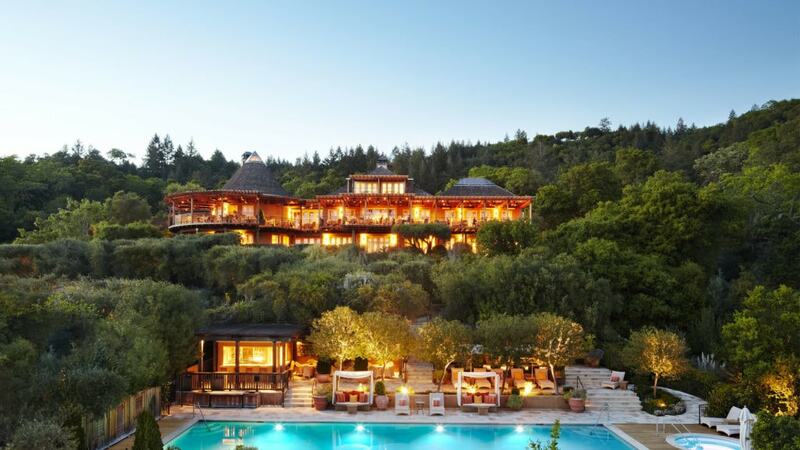 Auberge du Soleil in Napa Valley offers a romantic getaway with views of California’s finest vineyards mountain ranges. There are 50 luxury guest rooms and suites to choose from, a Michelin-starred restaurant and an award-winning wine cellar with… wait for it… 15,000 bottles of wine. Talk about a dream destination. 2. A destination that should never be overlooked when thinking about the perfect ocean-side adults-only holiday is the Cook Islands. 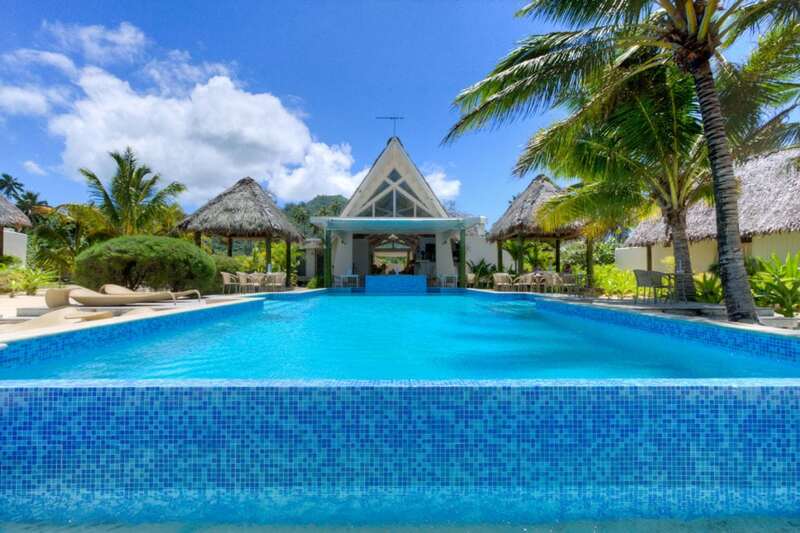 And with a place as breathtaking as the Little Polynesian boutique hotel in Rarotonga, the island life awaits. Perfect for honeymooners, Little Polynesian’s luxury Te Manava Spa, will have you walk in and float out. 3. Declared a Place of Cultural Interest by UNESCO, Cap Rocat in Mallorca brings together old-world architecture with modern luxury amenities. With a restaurant overlooking the Mediterranean Sea, a saltwater swimming pool and a spa sanctuary, this hotel is the ideal location for lovers. 4. When it comes to adults-only, Twin Farms in Barnard has everything ice-skating to spa treatments. Their standout restaurant has a locally grown seasonal menu designed to tantalise your taste buds. This romantic paradise is found in Vermont across 300 acres of unspoiled landscape. 5. It’s eco, it’s luxury and it’s adults-only. Bawah Reserve in Indonesia is found in the remote Anambas Archipelago. Once a marine conservations area, the six islands, three lagoons and 13 beaches now offer a romantic eco-friendly getaway. Each of the 35 eco-designed luxury suites have either a lagoon or garden view. With access only by seaplane, Bawah Reserve is an exclusive destination. 6. 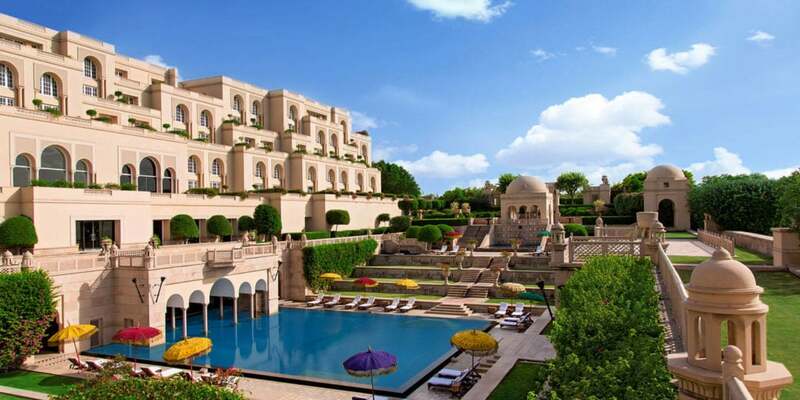 With the Taj Mahal, the symbol of love, just 600 metres away it’s no wonder Oberoi Amarvilas is a hotspot for lovebirds and honeymooners. Visit the Taj via private golf buggy and learn about the love story of Mumtaz Mahal and Shah Jahan, de-stress in the private spa or relax by the pool and watch the sunset dance across the white marble of the Taj Mahal.